Found one file extension association related to act/cut and 1 file format developed specifically for use with act/cut. 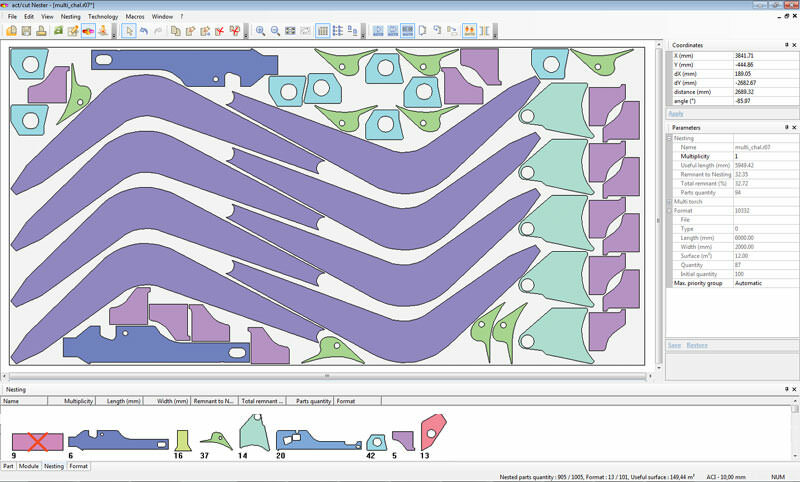 act/cut 3d is dedicated to the programming of any type of 3D-cutting machines regardless the number of axes or the cutting technique used (laser, plasma, waterjet, or routing). Through a simple and intuitive user interface, act/cut 3d is dedicated to the programming of any type of 3D-cutting machines regardless the number of axes or the cutting technique used (laser, plasma, waterjet, or routing). Providing support for advanced manufacturing functions, act/cut 3d can meet any kind of requirements, including high-level manufacturing requirements for the cutting of complex parts. If you need more information please contact the developers of act/cut (Alma), or check out their product website.